Amidst the crushing shelf space given over to Scotch and Bourbon, you (and by you, I mean myself) can be forgiven for not knowing all that much about Irish Whiskey. 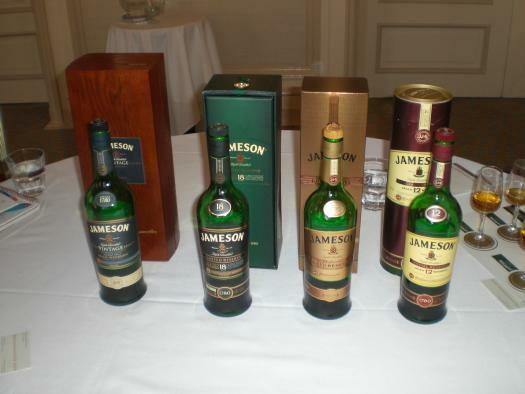 But did you know that Irish Whiskey was once the most-consumed whiskey in the world. Unfortunately, those days ended with Prohibition, and Irish has never regained its status since. 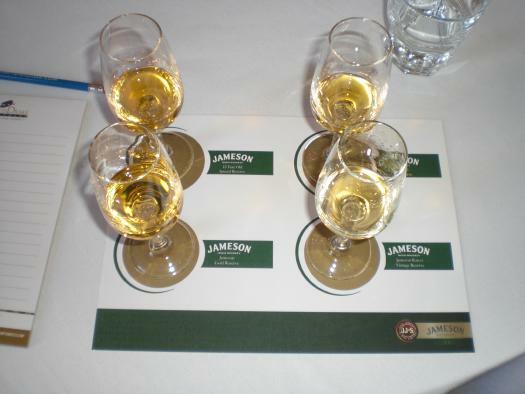 Jameson graciously invited me to taste four of its rare Irish bottlings today, including its newly-released Jameson Rarest Vintage Reserve (JRVR) 2007. How rare? It’s $250 a bottle, a mere 1,000 of which will be sold in the U.S. I was told I was the first person in California to ever drink it. Dang. 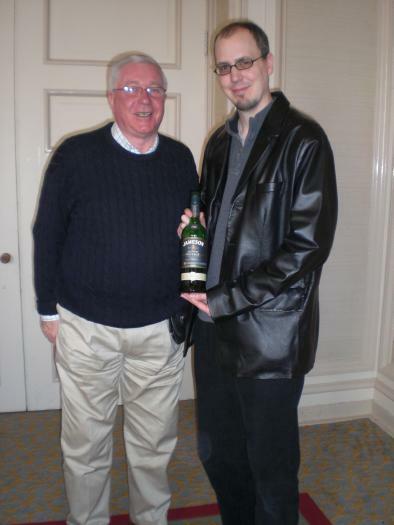 One of Jameson’s master distillers, Brendan Monks, took me through the offerings and some of Jameson’s history, which dates back to 1780, as well as some of the key differences between Irish and other whiskeys. Turns out there are many: Unlike Scotch, Irish dries its barley with hot air, not smoky, open fires, hence the lack of much smoky character in Irish. Irish uses some unmalted barley in its mix, too. Irish is also distilled three times (Bourbon is distilled once, Scotch twice), which removes much of the heavy, oily notes from the spirit. And finally, Irish Whiskey is matured in multiple types of wood casks instead of just one (though Bourbon barrels are the most common), which (as we’ll see in a moment) can give each whiskey a very different character. Try checking out Middleton’s, a label which I believe is also made by Jameson. Middleton’s is incredibly smooth and complex. At $130 retail it is a struggle to justify the purchase, but it is truly enchanting Irish whiskey. Midleton rare can be bought for around £70 duty free price in some airports and the Rarest Vintage can be snapped up for £199. If you like sweet smoth Irish whisky, give Red Breast Pure Pot Still a try. What I would give for that first bottle in the pic!